This competition has now closed. Sorry! 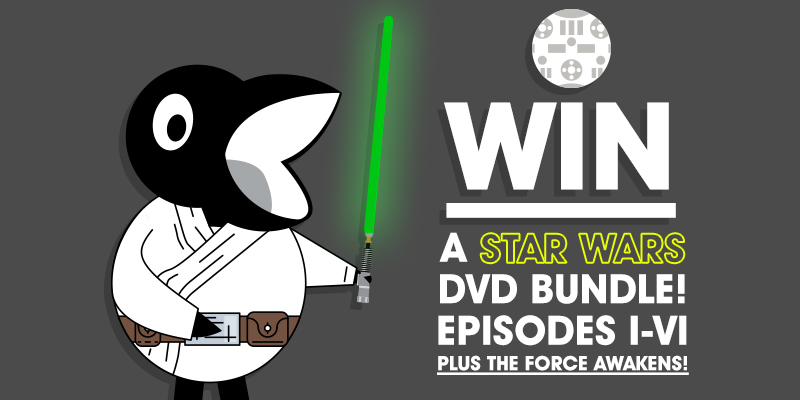 To celebrate Star Wars day, we’re giving away an amazing Star Wars DVD bundle! The bundle includes Episodes I – VI, as well as the incredible The Force Awakens. For your chance to get your mitts on this amazing prize, simply head over to Facebook, like the musicMagpie page (if you haven’t already) and comment on our Star Wars post with your favourite Star Wars quote. It can be absolutely any quote you like, even if Jar-Jar Binks said it. If Twitter is more your thing, you can also enter by following us (@musicMagpie) and tweeting your favourite quote to us. Bear in mind that you won’t get as many characters though, so keep it snappy! This competition closes at midnight tonight, after which we’ll pick a lucky winner to receive the Star Wars DVD bundle. You can find the full Terms and Conditions for the comp here. Good luck – and may the fourth be with you.